Health Costs > How Much Does a Barium Swallow Test Cost? How Much Does a Barium Swallow Test Cost? 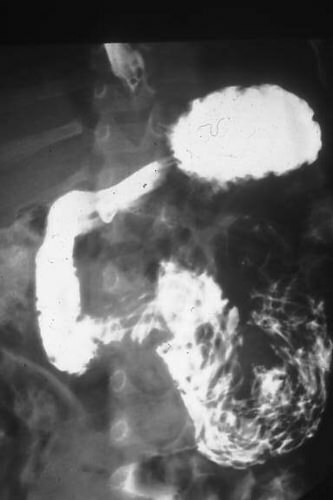 A barium swallow test is a type of x-ray that helps your doctor take a closer look at your mouth and throat to help diagnose any conditions that make it hard for you to swallow or if the doctor suspects a disorder of the upper gastrointestinal (GI) tract such as inflammation, blockages, a muscle disorder or an ulcer. On average, a barium swallow test can cost anywhere from as little as $250 to as much as $600 without insurance. The cost will depend on the geographical location, the doctor and facility fees. If you have insurance, be sure to check with your provider because this is a test that is routinely covered as long as it is ordered by your doctor. With insurance, you will only be responsible for meeting your deductible and paying your co-pays. Always check with your insurance company ahead of time to make sure the doctor is in network and the procedure will be covered. If you do not have a health insurance policy or are thinking about switching, consider browsing through hundreds of popular health insurance policies for free at eHealthInsurance.com. For example, a forum member on this HealthBoards.com forum thread paid $425 for the test without insurance. The Healthcare Bluebook claims a fair price of $302, with the price range ranging from $244 to $765+. The OhioHealth MedCentral Hospital provides a price list for its patients, and according to this list, a barium swallow for the esophagus can cost $448 without insurance. The estimates mentioned above should include the doctor’s fee to interpret the x-ray, the x-rays and the cost of the technicians to perform the procedure. During the test, you will be asked to swallow a chalky white-like substance, referred to as barium. Often mixed with water, this thick concoction, when swallowed, will coat your upper GI tract, appearing white on the X-ray film to help doctors view the highlighted organs. The taste, as per those who have consumed it, said it tastes similar to a chalky-like, bitter flavor. This test is commonly done at a local radiology facility, often performed by a trained radiology technician. The entire test, from start to finish, will take 30 to 45 minutes and can take up to a week to receive the results. As part of a barium swallow test, a doctor may also order a fluoroscopy, which is a continuous x-ray beam used to capture the movement in your GI tract. Another test, known as an upper GI endoscopy, may often be performed as well. A fluoroscopy can cost an additional $150 without insurance, whereas an upper GI endoscopy can cost an additional $800 to $2,000. A follow-up exam may be necessary to go over your results or if an abnormality needs further evaluation with additional tests. According to HealthLine.com, your doctor will require that you fast at least six hours prior to your procedure; however, your directions may be slightly different if you are getting additional tests done and/or have an existing medical condition. Risks, as per eMedicineHealth.org, may include an allergic reaction to the barium drink, constipation after the procedure or aspiration, a condition where you accidentally get barium into the windpipe. Remove all of your jewelry before going in for the procedure since it will need to be taken off while there. Many facilities will offer cash discounts for those who have no insurance. Talk with the finance department to see if they can work with your budget.